Bill Daues started his coaching career at Washington University as an assistant coach for four (4) years. He spent his next ten (10) years at Maryville University as head coach before joining Whitfield. 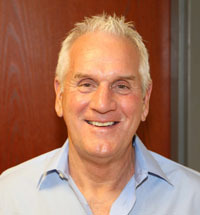 Bill joined Whitfield as Athletic Director & Head Boys Varsity Soccer coach in 1989, some twenty-two (22) years ago. All twenty-two (22) years have been at the same high school. Whitfield is a small private school located on Mason Road in West St. Louis County. Bill’s record stands at 329 wins, 196 loses, and 49 ties, (this does not count games this season). His teams at Whitfield have won the MSHSAA Class 1 State Championship in the following years; 2002, 2003, 2004, 2006, 2007, 2009, 2010. The year 2005 found Bill and his Whitfield players finishing 2nd. The MSHSAA had a different name for Whitfield’s class in 1999, it was called Class 1A—3A and they finished 2nd place that year likewise. Bill and his “Warriors” have been crowed District Champions twelve (12) times in his 22 years coaching. Many of Bills opposing coaches and state officials have said that Bill gets the most out of his players and knows how to get his players “game day ready”, they are prepared for their game. Whitfield plays against all classes not just schools in their class (Class 1). Bill has been named MSHSAA coach of the year in his class, Class 1, on numerous occasions. He also received the National High School Coach of the Year from NISOA (National Intercollegiate Soccer Officials Association) in 2002. In 2008 Bill was inducted into the “St. Louis Soccer Hall of Fame” as a coach. Bill played this great game as a goalkeeper mainly but sometimes would play left wing forward (outside left for all of us OLD timers). He started playing early in life, like so many that came through the CYC program. At St. Anthony of Padua, in south St. Louis, his first coach was “Dinty” Moore who was the first president of the St. Louis Soccer Hall of Fame. Bill was also inducted into the “Greater St. Louis Amateur Baseball Hall of Fame” in 2009. He is one of just a few that are in both Soccer & Baseball HOF’S. Bill’s wife, Joyce and two children, Kirk and Colleen have been very supportive over the years. He is a great educator and student of the game we all love.